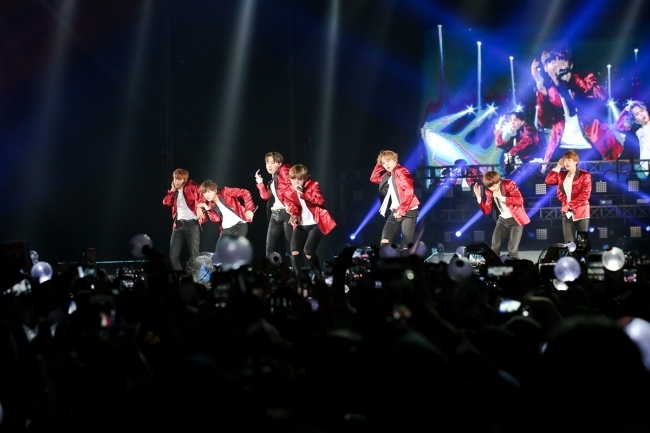 Fresh off last week’s win at Billboard Music Awards, Bangtan Boys on Friday held a concert in Sydney as the last leg of its tour across Asia and Australia. The group entertained some 90,000 fans across Thailand, Indonesia, the Philippines, Hong Kong and Australia, according to the agency. During its last concert of the tour, BTS showed its appreciation to the fans regarding the award. “We would like to thank the fans across the world, including the fans in Sydney. This honor belongs to all of you,” BTS said. The seven-member boyband won the top social artist award at the Billboard awards, becoming the first K-pop group to win at the high-profile event. BTS will commence its Japan tour on Monday, which will start with Osaka and continue until early July.